The Tru-Fit 20' Serpentine trade show display is the most effective marketing tool for your 20' booth space! 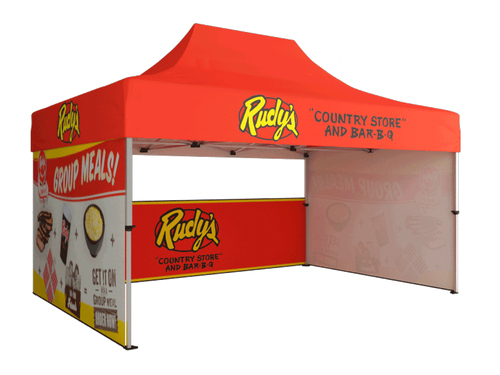 Not only does it have a creative snake-like shape, but the seamless graphic and lightweight frame make it the most convenient 20ft trade show display on the market. Perfect for exhibiting your products and services at conventions, conferences, and other events. This package conveniently packages into a single hardshell case that doubles as a podium. Custom podium graphic print included! Optional add-ons include (2) Additional LED lights, a single or double-sided print, and our in-house design services. Be sure to check out our Tru-Fit Viper banner stands if you're looking to add extra marketing power to your trade show display!